A typical interior design program and school will show you how to create a mood board. I show you how I worked on over 60 projects in my first year of my interior design business without a portfolio, contacts or loads of cash. There is nothing special about me, you can do it too. My mentorship program teaches you how to get clients and a sustained income as an interior designer so that you can work on projects and grow your experience alongside your business. This program breaks the common misconception that you have to work for free to gain experience before you get paid as an interior designer. A typical interior design program and school will show you how to create a mood board. I show you how I worked on over 60 projects in my first year of my interior design business without a portfolio, contacts or loads of cash. There is nothing special about me, you can do it too. My mentorship program teaches you how to get clients and a sustained income as an interior designer so that you can work on projects and grow your experience alongside your business. This program breaks the common misconception that you have to work for free to gain experience before you get paid as an interior designer. I am very proud of our signature online interior design mentorship program – 90 Days To A Freelance Life. It is one of the fastest ways to give you the key skills and knowledge to start working as an interior designer. Every edition of this program brings highly motivated students that achieve amazing results. This interior design program goes beyond standard teaching. It is the mixture of coaching, construction knowledge and business mentorship that gives you the unique edge over others in the industry. I started my own successful interior design business without a portfolio of work or a network of clients by using modern day techniques that serve a changing industry. This is for you if you want to start working as an interior designer as quickly as possible. Although the course is structured we make sure that every student gets the personalised help they need to succeed. We touch base each week to keep you motivated, to see where you’re at & to work through any issues that might have arisen. We go the extra mile to provide extensive and useful answers on our forum. We love helping you, so we’re on there all the time! We are constantly growing and learning ourselves, so each time our business goes the next mile, we teach you exactly what we did! Working from home can be lonely so we make sure that the course is social with lots of opportunities to make long-term connections. In this interior design program, we teach you everything you need to know to set up and run your own interior design business but we also show you everything we did to get regular clients and consistent income to support our business and career. We combine real-life and workplace knowledge which is more practical rather than academic, then help you build your business step by step whilst making your dream of becoming an interior designer come true. This program is different in that we created it to work around your busy lifestyle. This is not an academic course, it is a practical program that is drip fed each week while you take action to set-up your business, learn the skills, then work on a real-life project with us by your side, on hand to answer all your questions and guide you if you feel lost. We provide you with business, email, marketing and drawing templates to help speed up your success so that you don’t have to spend years working these things out for yourself! We make it easy for you to succeed because we just give you everything you need to get going in your business, so the hardest part is getting out there and just doing it! Starting to work for yourself as an interior designer isn’t for everyone, that is why this interior design program is only for motivated people who genuinely want to start a career as an interior designer, because if you do the work as it is intended, week by week, you should start working with your first real client within around 90 days into the program. As soon as you sign up you’ll gain access to resources that will not only save you time, help you stay out of trouble but also save you loads of money. We speed up your success by making it easy to build your business as an interior designer. Every month we add more and more, the great thing is that you have lifetime access to this ever-growing content! You have always dreamed of becoming an interior designer or you have found yourself wishing you could do it for a living. We believe that if you feel called to be creative you have something special to give. In this interior design program, we explore your own unique talents (rather than teaching you what we think is right) and help you become the best designer you can be. You have this underlying passion for interior design or have wanted to do this for years but don’t know where to start. I’ll show you not only how to be a great interior designer, but also how to set up and run your own business (even as a freelancer), get clients and create a brand that you are proud of. I’ll give you the tools that take years to accumulate in traditional offices and fast-track your success by sharing all of my secrets, links, experience and industry know how. You have tried on your own but want a network and someone with experience to call on and ask questions. When you feel stuck and don’t know what to do you have a support network from day one and when you feel like things aren’t working out you have help and support all the way. As an experienced mentor who currently works in the industry, Jo can help you get clients (without a portfolio, years of experience or a list of contacts). You want to go freelance, set up your own interior design business or get experience to work for someone else. We will show you how to get clients and help you find your first project so that you can gain real experience and build a real portfolio. Your final project is a real project rather than a theoretical one and we actually help you with real-life problems that arise from that project. We will be there, just when you need us! You have been working in another industry or have another career but don’t want to go back to uni or study every evening and weekend for years. You don’t have to work for low wages or long hours as an assistant to “learn the ropes” and you don’t have to go to university or study every evening and weekend for years to gain the knowledge and experience required to work in this industry. We help you to transfer your current skills and then fill in the knowledge gaps so that you don’t have to start your career again from scratch. You are fed up with your current job or situation and want to finally take a stand for your dream. There is nothing theoretical about this interior design program. You need to be motivated, driven and cannot give up easily when it comes to your dream. We will push you every step of the way to make sure that you don’t give up on yourself. If you are ready and want to start working as an interior designer, this is the program for you. You have already studied interior design with a formal institution but haven’t been able to find work. You found that once you finished studying interior design everyone told you that you needed experience in order to get hired and frustratingly you couldn’t get the required experience without getting hired so have had to find work in another industry whilst waiting for your dream job. You want the freedom and flexibility to work from anywhere and the hours you choose. Whether you are a mum who wants the flexibility to work around her children or you are a millennial who wants the laptop lifestyle. You can set up your business in a way that can give you the freedom to run your interior design business with maximum flexibility with nothing more than internet access and a laptop. You don’t have to run your business in this way, (don’t worry we teach multiple ways), but isn’t it nice to know that it is possible, just in case you decide you want to? As a creative person, Interior Design is something that I have wanted to do for most of my life. There were a few things that have always held me back, the biggest thing was fear of not knowing how to run an Interior Design business and the second was fear of not being able to find clients. I can now say with all honesty that these fears and some others that I haven’t mentioned have been completely dismissed by completing this course. I never thought that it was possible to set up a business, easily find clients and be armed with all the information I need to be a successful Interior Designer in just 90 days. Jo has made this process simple, sharing all her knowledge and experience while being encouraging and supportive to create and live my dream. The course material and structure is easy to follow; teaching skills that are invaluable but can only otherwise be learned by working in the interior design industry for years. Jo dispelled a lot of the myths and showed me that running my own Interior Design Business is not only possible but also easy. By the end of the course, I had my business set up, a great website for my clients, all the processes and procedures in place and most importantly Clients! But the most important thing that I received from Jo as part of this course was the confidence to be an Interior Designer, run my own business, provide specifically designed packages to my clients that were full of expertise and value; and be armed with everything I need to know to be a success. I am so grateful that I found Jo and this course as it has changed my life; I now also have a support network of other Interior Designers that have also gone through this course with me. I have always loved interior design and decorating my bedroom every other year when I lived at home, but my passion was really sparked when I bought my own flat and had free reign to design and style an entire space. I started putting pictures of my work in Instagram and gained quite a large following, which helped me with my confidence that I was actually good at design and not just super house proud! Since starting the course I have had 5 paying clients, from just providing inspiration for one room, through to a full 4 bedroom house redesign. I literally could not have imagined just 90 days ago that this would be my life and I would be making money from something I love so much. My confidence has grown, it’s still a work in progress but I feel more confident. I notice this most when talking to clients and I hear the technical knowledge that comes out of my mouth without even realising it, and I realise how much of the course learning has actually sunk in. I was expecting to get interior design knowledge but this has far exceeded that and the business aspect of it was so vital and so important. The results that I have had such as having paying clients also far exceeded what I expected as I really didn’t expect to have clients already. This is a fantastic course and as long as we put the work in, it’s guaranteed that the students will have successful careers. Jo Chrobak has created a course that teaches exactly what is needed to set up and run a successful interior design business…not only the day-to-day logistics but also the confidence to go out on your own. She has this unique ability to help you dig deep and find your own strengths. Everyone from my course is heading out into interior design but in a slightly different way because we have all been able to tailor the course to our individual needs. We couldn’t have done this without Jo’s coaching and encouragement along the way. If you are ready to make this change in your life, Jo and the Interior Design Business School will get you there…no doubt. I cannot tell you enough how instrumental this course has been to get my business off the ground. So many questions kept me up at night and Jo’s course not only answered them but also built my confidence. I now have big plans for my business and that is thanks to IDBS. I have been equipped with the right knowledge, tools, skills and confidence to achieve high. Jo doesn’t only teach you. She mentors you, coaches you, pushes you, encourages you and cheers you on. She makes you promise to keep going because that is when the magic happens and it really does. I am wrapping up my course in a few days and I have already gained so much including clients and lots of enquiry. She also creates a community among like-minded people who are all on the same journey. It’s hard to find this elsewhere. If you are thinking of making a living by designing interiors, this course is for you! This course has been a life changing journey for me. From a full-time mum of two wonderful kids to an interior designer/businesswomen, the course and the most amazing mentor Jo Chrobak has guided me throughout the whole process in becoming who I am today. Yes, it a very fast paced course where at times it tests your endurance and resilience. But with a mentor like Jo, she will guide and encourage you – help you build up your confidence and support you to bring your dream to fruition. Today I graduate along with all the other amazing group of colleagues from this course who never make you feel like you are alone in the journey. 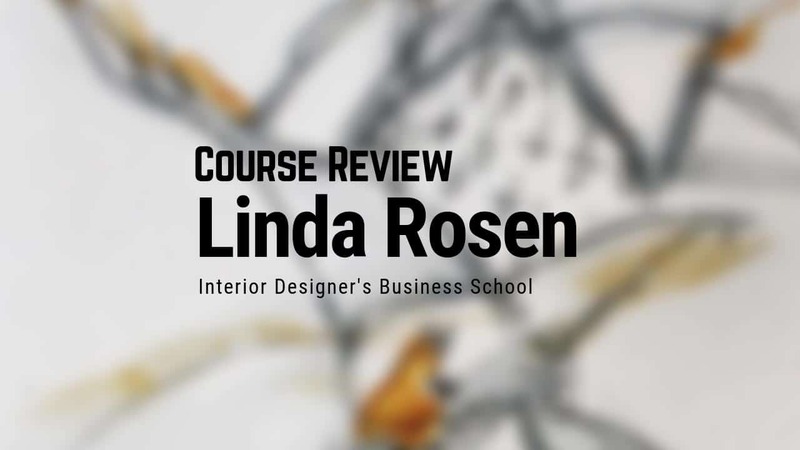 Thank you IDBS Online and Jo Chrobak for creating such a great course that guides you through the journey of becoming an Interior Designer and set up your own business at the same time – be your own boss! And like she promised, you do get to work with your real clients at the end of the course. I am so glad I joined this course and found my true self, there’s no looking back for me now. If you are contemplating on whether to join this course or not, I would strongly advise you to think no further and just do it. It is all worth it in the end!! I would also like to take the opportunity to thank Darius for all his support throughout the course work. Lastly, thank you again Jo and IDBS, GHAR by Shradha Shrestha (www.gharbyss.com) is an outcome of your course and support. I am graduating from the Online Interior Design Business School this weekend and the support we all receive is second to none. There are no industry secrets being kept from you, just years and years of expert knowledge waiting for you to soak up! I can’t tell you how much I have loved this course and the people on it. I came from a background with no experience of working in the interior design world, just a true love for it, and I now feel I have what it takes to go and make my dream a reality. Jo and Darius are some of the nicest people you will EVER meet, they genuinely care and love to watch their students succeed and will do everything they can to make it happen. So if you’re wanting to start your own business doing what you love, don’t think twice about choosing IDBS, it truly is the best. I will miss it, but I’ve made some awesome friends along the way. I haven’t studied interior design before is this still suitable for me? Although we do have a lot of students who have already studied interior design the program is suitable for anyone who is ready to start a business or freelance as an interior designer. The program focuses on gaining knowledge by working in the industry (it’s practical, you grow with the course and ask questions along the way). Interior design schools focus on giving you theoretical knowledge during the course and then expect you to go and figure the rest out on your own and most times you don’t have any support when you really need it the most. This is why our school is different. The majority of my mentees feel like they are ”too old to work as an assistant or go back to university to study”. They usually already have a career and have transferable skills that mean they grow and succeed much faster and they really don’t want to transition into a new career by starting at the bottom. Others are mums who after a few years off from work, want to slowly get back in to work but would rather work for themselves in a flexible, creative industry rather than try to get part-time, low paid work for someone else. Where is the program based or is it available online? The content is all online / distance learning. You will receive a unique log-in and profile where you will be able to check off and mark modules as complete. The is an online program with videos, workshops and assignments that build your knowledge and business side by side. Once you sign up you will get access to the online membership part of the website with the first introductory module already available for you. After the official start, the modules will be released weekly. The program runs for 4 months but is designed to get your working with your first real client in 90 days from the start of the course. How much time will the program require each week? If you were hoping to just do the bare minimum, which is return the homework modules and attend the live calls then you would get through the program with about an hour a day. If you cannot commit to this time, you will have lifetime access to the course content and recorded calls. The program has been created so that you can not only set up and put in place all of the things you need to start your career as an interior designer but also learn the things you need in your new career in a practical way. This should be fun and exciting and if you are serious about setting up your new career you will be motivated to work on the material. Do I need to be UK based? No, the course is structured in a way that means you can work from anywhere in the world. If you have any particular concerns, please do get in touch. You can expect to learn everything you need to know about how to set up and run a business in interior design or start working as a freelance interior designer (for yourself or someone else). This is valuable for you if you don’t want to undertake an evening course at a college or undertake prolonged work experience working in an interior design firm as an assistant which is the usual path. This isn’t a decor course and is suitable for people who are transiting into interior design later in life or have already studied interior design but have found that their course was limited to teaching theoretical interior design rather than the business of interior design or have tried to find work or set up on their own and have not succeeded. The program is set out in a way that you should be able to start taking on clients or start work for an interior designer by around 90-days into the program (earlier depending on where you are at and how steep your learning curve is). Each week you will gain access to a new module and you will have one week to go through the content. The next week we will have a live call where you can talk through your struggles and get guidance and mentorship / coaching to help you solve any problems and move past barriers that are holding you back. Throughout the week you have access to the forum to ask questions and the inbuilt social group to get support and interact with other members. The support network is a key part to your success, so taking part and being an active member will definitely help you to succeed much faster. Every couple of weeks you will receive a homework module. The homework assignments are practical and guide you to take the required steps to set up your business in a safe, achievable and fun way. Is the course self-paced / self study? Although the program content is drip fed each week on the membership site, the program isn’t self-paced, it’s a bit of hybrid. We go through the course together with a certain number of students each time. We release a new module each week, then you have two weeks to complete the homework (which are action steps to help you build your business). I am with you all the way, on the social stream prompting you in my program and answering your questions. We have weekly calls that relate to the current module where you can ask all your questions and get personal mentorship from me in a group setting. You will make friends and you will never feel on your own. I wanted to create a scenario that would set you up for success and I don’t believe anyone succeeds on their own. After graduation, you continue to have access to the website where you continue to interact with your peers and have access to ever-increasing content. The only thing that stops are the weekly calls with my support and access to the forum (you won’t be able to ask questions, but you will be still able to read all posts). There is no other program like this! Do I need to have experience or previous project examples to start the course? You don’t need to have previous project experience but having an established career or degree in another field can be beneficial to success. Also, having undertaken or run your own or a friends project can also be useful, but not essential. The main thing you need to have is determination and a real want to work as an interior designer. Passion, drive and self-motivation is more beneficial than any experience or education. I want to work in commercial interiors is this still suitable? Yes, but please do specify what kind of projects you are likely to work on so that we can make sure the content is suitable for you. Also, in some areas around the world you may need to get certification in order to work in commercial interiors, however this can be examined on a case by case basis. I have a specific style and look that I want to build my career around. Are you experienced in different styles of design? Every educated designer is experienced in different styles of design. This course has been created to help you develop your style, but to give you the knowledge you need to provide intelligent solutions for your clients. What if I can’t find a client or a project? Getting clients as an interior designer doesn’t require magic. I managed to get clients in a foreign country, without any contacts, previous experience or portfolio. You just need a system that works and I will teach you that system. The majority of students are women, however men have successfully completed the program too. The program helps you to develop your own style and build your own business, so it is well suited for both men and women. I’m not naturally talented, can I still succeed? Talent helps make things easier, but you don’t need natural talent to succeed in interior design. Design is a learned skill, just like any other profession and I will teach you the skills you need to succeed. I have been out of work for a while and am worried the workload will be too much for me. I don’t want to start something that I won’t complete. This program is designed to work around a busy lifestyle. Most of the students work full time and need to fit this in around busy careers (as well as children). I require assignments to be handed in, but these assignments are practical and designed to help you build your career, so it isn’t like studying at school or college, it’s more like having a friend teach you everything you need to know and guiding you to take baby steps along the way. Even if you just take a few steps each week, you are building and starting your new career, rather than sitting back and dreaming about things happening. This program requires “active” participation on behalf of your dream (and I won’t let you quite so easily!). Can I legally work as an interior designer after finishing this program? Almost everywhere around the world (except for a few states in the USA) you do not require a license, certification or any education to call yourself or legally work as an interior designer (always check in your local area if there are any requirements). The title of interior designer is not protected such as that of an interior architect or engineer. Experience as an interior designer is what is required to succeed in this profession and that is what this program focusses on. I have a large following on Social Media but don’t know how to monetise my following and don’t actually have any clients. I’d like to transition into interior design but don’t have any formal education. Is this program right for me? If you have already built a large following it will be much easier for you to start your interior design career, so this program will help you finally take the steps to do that! Kaya had been working on a couple of projects before signing up and wanted to turn interior design into her profession. She wanted a job that she loved and she wanted to choose the hours she worked. If you have been trying to become an interior designer and struggling on your own, we can help take away the stress and speed up your success. We help during the toughest times when you have hundreds of questions and just need guidance in the right direction. Carrie had formal interior design training but felt that although she had the design skills, she still lacked the business knowledge that was required to run her own successful business. Like most, she believed her degree would provide everything she needed to become an interior designer. Degrees give you a great breadth of understanding on a topic, but when it comes to practical skills, you’ll still need to find those by getting work. At IDBS we help you to get clients whilst working on your own, real-life and paid projects. Linda had been working in the real estate industry and had moved from Norway to London to start a new chapter. She had developed and renovated a few of her own properties and wanted to get into working in the commercial side of interior design. At IDBS we work on real (not theoretical) design projects and help you to deal with real-life scenarios as they are happening to give you the support you need and help you grow your confidence. Clare had a successful and established career but wanted to transition into interior design at her own pace. She wanted a fast-paced program that would give her results in a short amount of time. At IDBS we don’t cookie-cut everyone’s journey. We know that you are unique and that you have your own dreams and goals that you want guidance with. The business coaching element of our programs speeds up your progress and provides clarity and guidance in an unknown industry. Baily had been working in merchandising but her heart was in interior design. She knew that she had transferable skills and didn’t need to go down the traditional route and training of becoming an interior designer. The majority of IDBS students don’t have the time, want or need to go back to university or do a traditional interior design course. We help you start your business, earn money, grow as a designer and gain practical experience, all on real-life projects. Amelia was afraid to take the leap and change into her dream career as an interior designer. She didn’t realise that she already had so many transferable skills from her previous career that would make it so much easier! Sometimes you just need someone to help point out qualities you can’t see inside of yourself. Being a business owner brings up many insecurities that you might not have noticed before and that’s why the life-coaching element of our programs gives you confidence and support in a unique and refreshing way. Tanya had already been working as an interior designer although she wanted to increase her knowledge in the industry as well as gain some additional skills to help run her business in a legal and professional way. Even if you’ve been doing interior design for years and just want to make your business full-time or start getting regular clients, we can help. At IDBS we help you with modern day marketing, showing you how to provide e-services and helping you put systems in place to work smoothly and professionally. Since finishing the course, I’ve had more time to reflect on it, and you really, really do deliver an amazing program. I have so much to refer back to and process it again, and that’s what’s wonderful about this! You’ve made it easy for us to use this incredible and relevant information as and when we need it. This course has been so inspirational for me and I will be forever grateful and never forget it. It feels like I’m living my dream and sometimes I have to pinch myself 😁 and with every new client meeting my confidence and conviction grows. I can honestly say that if I hadn’t stumbled onto your Instagram post when I did, I don’t know that I would be here now. I honestly believe you were born for this job. Coaching is such a talent, and you’re an incredible coach. The unique thing about your course is the personal touch, and individual feedback you give. Other courses just don’t do that. The course was amazing and the girls on the course so inspiring. All I can do is say a BIG THANK YOU! for being such a giving and supportive mentor. Four months ago I had a completely different plan. I now have reached my end goal much sooner than I thought, doing what I love and finally making money out of it. Being my own boss, running my own business is the best feeling in the world. I can’t thank you enough! If you hadn’t created this program I don’t think I would have ever been able to be an interior designer. I’ve done other courses and they didn’t give me anything like this, that I needed. So thank you Jo. Pay upfront and save or pay across 5 months with the payment plan (Lifetime Access). As soon as you sign up, you gain access to the private IDBS social hub, the forum (with hundreds of topics to read through) and THE STARTER PACK*. You also have direct access to some real work examples, a toolbox of templates and a Q&A Section that deals with some common problems. You will be required to read a book from the reading list. The sooner you join before this date, the more prepared you will be to start this program. *STARTER PACK The starter pack describes the stationery requirements and book list. You are also asked to fill out your welcome questionnaire which helps us profile you as a student so that we can ensure you receive personalised and specific help throughout the program. Your preparation module (released on the official start date) helps you to get ready for this program especially if you haven’t studied for a while or have never previously undertaken a formal course. Look at ways where you can rearrange your current life to make room for your new career. Think about what you really want to get out of this program. Slowly lead into the program and get used to working on your business every day. This is when we have our first welcome call and you will be able to introduce yourself to the other students (although chances are you would have already met on the social stream!) After the call, your first module will be released. The aim of this module is to put in place the basic business foundations required to be trading legally as an interior designer. Before taking on your first clients, you’ll need to design a simple website and start developing your brand and professional image. Every module also has a small marketing section, which gets you used to undertaking daily marketing tasks in your business. The business structures required to be accepting money from clients. The legal structures required to provide a safe service for both you and your clients. Creating contact information required as a business or freelancer so that you can be found by potential clients. Creating a brand that highlights how you stand apart from the competition. An introduction to and learning how to market your services. Free alternatives for a low or minimum cost set-up. This is when we hold our call related to the previous module and you will have a chance to ask your questions about the previous module live on the call (don’t forget that throughout the week, you have constant help on the social stream and forum, so the calls give you yet another chance to have certain things explained and help you with your individual needs). After the call, the new module will be released. Each designer/student is different and starts the program with a different perspective, transferable skills and varying amounts of experience. We don’t force styles onto you. We help you to develop your own unique sense of style through these carefully designed lessons. The history & profession of interior design. Interior design styles and how to use them appropriately. Design tools, rules & theory. This is a revolutionary module because most people have resistance to learning CAD and technical drawing, yet we make it fun and easy to understand. This module will be released after your regular support call. Understanding scale, perceiving space, measuring spaces and drawing to scale are basic skills required by an interior designer to truly succeed. Having the skills to present information in 3D and in a low cost and effective way is useful for clients and increases the standard of service you can provide. Measure and draw up survey information. Use CAD (Computer Aided Design) software that is relevant to interior design. Get the interior design related tools and templates that will fast track their ability to provide excellent drawings in a professional way. Draw room layouts and present furniture and room layouts to scale. Present ideas in 2D & 3D. Use scale rulers & prepare scale drawings. Get personalised help so that student’s learning timeline is compressed. Because we want to make it easy for our student’s to succeed, we added catch-up weeks into the curriculum. That means if a student needs extra time to complete something, they have a chance to catch up. Throughout the program, we add catch-up weeks in strategic places, to help give you extra time to finish and complete all the tasks to date. Life sometimes gets in the way and this gives you the opportunity to take time off if you need it, do some extra study or catch up. Having the skills to express and communicate ideas visually at each stage of a project is something required of interior designers for any scale of a project from commercial to domestic or high-end to low cost. The aim of this module is to introduce you to the types of drawings and presentations required to communicate effectively, whilst also teaching you some effective methods of communication using software and documentation methods. This module will be released after our support call. Learn how interior designers traditionally present their work. Learn new and contemporary ways of presenting information. Visually communicate and present ideas to clients. Learn how to use programs and software to present work professionally. Communicate and present information to builders and other consultants. Learn basic drawing and detailing methods. Understand the level of information required to complete a project. Learn the skills required to present digital presentations. This is something unique to this program. My background in architecture will give you an edge and help you communicate ideas clearly with other professionals. This module gives you confidence and grows your knowledge to that beyond typical interior design courses. This is where you will really feel like you know what you are talking about. Understanding basic construction of how things work and go together will help you to make better decisions and ultimately become a better designer. Often this is the first time students consider how important it is to have this knowledge before taking on a project and elevates our designer’s knowledge to that of a professional. This module will be released after your support call. Understand basic construction so that they make better decisions as an interior designer. Understand drawing symbols and what they mean. Learn how to create production information for joinery, furniture, and soft furnishings. Learn about lighting and electrical drawings/designs. Create lighting and electrical layouts. Understand international and local building regulation laws and how to adhere to them. Specify materials, fabrics, and finishes legally and for the right purpose. This module really starts to fill in the gaps and tie things together. Suddenly, at this point, everything will start to make sense and you’ll feel like you are prepared to take on your first project. Learning how a project is run from start to finish is inherent to everything an interior designer does, but also what allows you to run that project confidently, professionally and in an organised manner, is having the right systems and filing in place. That is why this module focusses on more than just how to run a project, but also how to organise yourself in your office to run the project professionally. As usual, we will release this module after your support call. Understand how to run different types of projects, from commercial to domestic and from large to small. Confidently run a project from start to finish. Organise themselves and their office so that they can run their businesses efficiently and professionally. 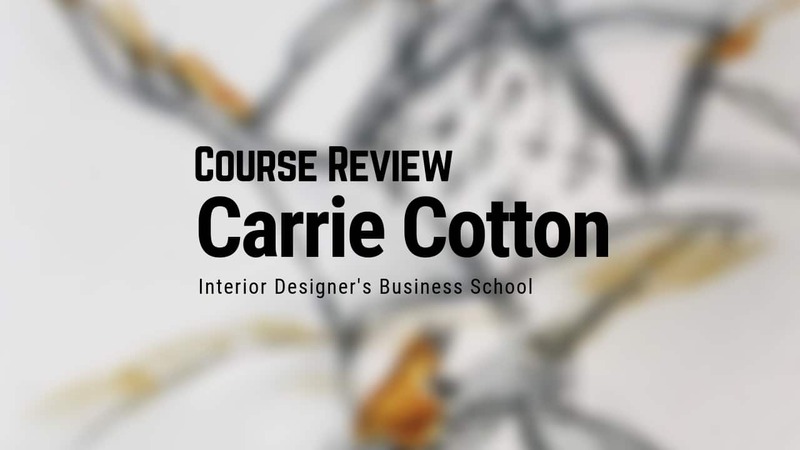 Learn project-specific systems that are required in the interior design industry. Give students the tools to work smarter, not harder and make it easier for their businesses to succeed. Ensure student’s put important systems in place early on, so that they have a smooth and organised process in place when they start working on projects. Structure their businesses in a way that allows them to scale quickly and safely. At this point, we provide another catch-up week for you. Because the past few weeks required a lot of learning, this will give you an opportunity to go back and re-read things that didn’t sink in the first time or explore new ideas and concepts that you have just learned. Often this is the point where students realise that they are actually interested in something that they never thought they would be interested in! It is a great time to explore new areas of the interior design world and how they can benefit your business. The last phase of the program transitions into teaching the daily business activities of an interior designer/business owner. This is where you’ll find out that getting clients just requires consistent action in line with your marketing strategy. Throughout the program, we teach you key marketing skills and this is where we tie everything together. We will help you to create the right marketing strategy based on your niche and ideal client, and in turn, you’ll start building your credibility, will start to share your expertise and begin to become intentionally visible. As usual, this module will be released after your support call. At this point, these support calls are really fun. You’ll become really close with all of your peers and you’ll be really excited about how far you have come and what you have achieved. Find what is unique about their business and use that in their branding/marketing. Create copy and language that attracts and converts their ideal clients. Learn where to find their perfect clients and learn how to turn potential projects into real jobs. Learn un-sleazy, modern and fun ways to promote their businesses. Refine their marketing and clarify their branding message. Develop a consistent income stream for consistent clients. Create long-term marketing strategies that don’t require high-cost advertising. This module teaches you the many other benefits of using an interior designer so that you can use these ideas to market your services. Also, by delving into common beginner mistakes, you’ll gain a head-start in your career by building your knowledge of tricks-of-the-trade which usually requires a career’s worth of experience to learn. Knowing how trades work and in which order give you a wealth of information as to how long a project will take and help you to avoid project management errors. After our call, this module will be available for you. It looks like there are plenty of lessons, but our program is structured and presented in a really logical and easy to understand way. The feedback we get from students at this point in the program is that they just can’t believe how much they have learned and they didn’t realise they were learning! Understand how trade relationships can give them an edge (that most people don’t know about). Create trade relationships with the right industries for their target market. Negotiate deals with key manufacturers so that they can increase their profit and the value provided to clients. Become aware of key problem areas where issues may arise at different stages of a project. Learn how to overcome obstacles specific to interior design. Become aware of the potential pitfalls for interior designers. Learn the basics of project management specific to the profession. This is your last catch-up week. Usually, this is the time when you will start working with your first client. You would have been marketing for around a month (and learning about strategic marketing from the beginning of the program), so it makes sense that things fall into place at this point in the program. This is the time when things start to get real and you will have the support network around you that you will be really grateful for. How long the project is expected to take. Where and how to source furniture and fittings. This is the point at which you’ll notice the difference between an interior design degree, course and what we provide as mentorship. The support you receive at this point in your career is what will make the difference between success and failure. This is where you start your practical experience by working with your first real client. Having a mentor on hand at this point is critical for student’s to be able to ask questions, gain confidence, get help with specific issues such as pricing and ensure the first time they set about undertaking a project, there is someone on hand to help. As usual, we will release this module after our support call. Usually, this is when the forum support is invaluable as you’ll have answers to your urgent questions throughout the week! Understand the sales process, so they feel confident talking about money. Use our system to find their first client. Complete the sales process, get a definite yes from a potential client, and get paid to undertake a real project. Fill in the day-to-day knowledge gaps of running a project and confidently move forward with their first clients. After nearly 20 years in the industry, working as an architectural and interior designer, I realised the biggest problems arose on projects because this one thing wasn’t done well and was never even taught! Unique to IDBS, this module delves into modern and up-to-date practices of undertaking the beginning phases of a project that help create strong, clear brief’s that save our students (and their client’s) time and money, whilst limiting the opportunity for miscommunication, reducing disputes and arguments. This module will be available once we finish our support call. Understand what a brief is and the reasons why it is the most important part of every project. Learn to form an agreement that protects both designer’s and their clients. Learn key coaching skills to help student’s ask clients the “right” questions (and save them from going around in circles or making lots of changes). Gain the skills to listen and be present with clients. Learn about boundaries, how to make sure client’s stick to them and how these boundaries can protect the designer in their new career. As you prepare to graduate, you’ll be well under way with your client and your first project. The continued support on the forum and from your peers on the social stream will be invaluable. Alongside your running business and your first project, you’ll be preparing to graduate by completing all of your required homework submissions and preparing your unique business plan for assessment and feedback. We will have our final support call this week. Students graduate in a unique way. Your graduation assessment is based on sending through your real-life project before it gets sent to your client. Alongside this, you’ll create a business and marketing strategy to follow for the next 6-12 months in your business. As you graduate and get busy working as an interior designer, we wanted to give some additional help with the everyday challenges that you’ll face as a new business owner. Your final module will be released after your graduation call, which is reserved for celebrating your success and achievements (this is not a support call). How to make business decisions which are right for their business (and not waste time with shiny object syndrome). How to solve business problems. Stepping out of their comfort zone and growing as a business owner. How to find answers to technical questions. How to think outside of the box (and why this helps their small business). How to deal with burnout. Don’t forget that you have lifetime access to the program (including the social stream). You will no longer be able to ask questions on the forum, however you’ll still be able to see and read new questions and answers from current students). As the program is constantly being updated, it is always current and relevant and means that students have access to an ever-growing library of useful information, friends and community. It is hard for us to let go! We want to know how you are doing and give you this last chance to ask questions, especially as you would have spent a month working in your business completely on your own. Knowing that you have one more chance to speak to me live and ask questions may be a relief. This complimentary call is designed to help identify any areas that might not be working the way you had hoped and help you to make adjustments or get further clarification in specific areas. If you follow the course as it has been intended, you will succeed in setting up an interior design business and know what needs to be done in order to succeed, not only financially but in the rewarding role as a designer providing life-changing services to your clients. Invent Design Create Limited trading as The Interior Designer’s Business School is a registered company in England and Wales UK.